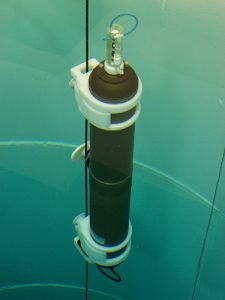 The McLane ITP is a moored profiler which has been designed to be deployed through a small hole under the ice. It collects measurements of conductivity, temperature, and depth, and other sensors. Data is recorded on board, and can be transmitted automatically in near real time using an inductive modem connected to a surface controller. Deployment parameters including profiling depth, time intervals and pressure stops are pre-programmed by the user, and profiling patterns can span specific seasons or timeframes.